Silicon based thread lubricants and sewing thread lubricants have given excellent results in the finishing of sewing thread to improve the threads surface slip & increase its heat resistance. 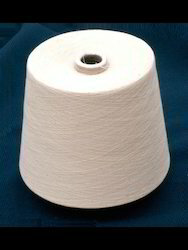 Sewing characters tics are also improved, so that the thread does not break & surface gloss is also increased. The thread lubricants, sewing thread lubricants, silicon thread lubricants and thread lubricant emulsions are available as 100% conc. as well as in the form of Emulsions and 100% products are in paste form as well as clear Liquids. The Paste form requires heat for the application. Our offered Sewing Thread Lubricants is exclusively formulated for employ on sewing threads to reduce heat/friction and avert thread breakage. These are highly effective than the standard lubricants in terms of reducing friction and preventing thread breakage. Moreover, these present easier needle penetration and elimination of carbon, sizing or adhesive build ups on the needle or hook.